A Manhunt or a Vital War? 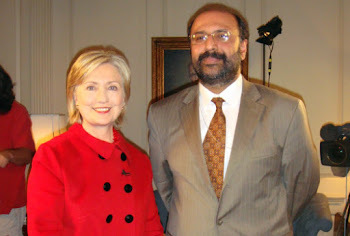 THE rising violence in Afghanistan and fractious political situation in Pakistan have become leading issues in the American presidential campaign and the debates between the candidates. Indeed, after seven years of war in the region, it’s time to ask a very impolite set of questions: If we did, by chance, capture or kill Osama bin Laden and his deputy, Ayman al-Zawahri, would Afghanistan still matter? Would there be public support for sending more American troops to stabilize a country that has rarely in its history enjoyed strong central government and that abuts a tribal area in Pakistan that neither the British nor the Pakistanis have ever been able to control? Is the war in Afghanistan, deep down, anything more than a manhunt for a handful of individuals? And if it is, how do we define victory there? After all, Afghanistan is not the only ungovernable space with an Islamic setting around the world that can provide a base for terrorists who want to attack the United States. The world is full of them: from Somalia to the southern Philippines to the Indonesian archipelago. Better, perhaps, not to be tied down with thousands of troops in one or two places, and instead use sophisticated, high-tech covert means to hunt down hostile groups wherever they crop up. The problem with Osama bin Laden, one could argue, was not that he had a haven in Afghanistan in the 1990s but that he was not pursued there with sufficient vigor. So, here’s my answer: In fact, Afghanistan is more than a manhunt, and it does matter, for reasons that have not been fully fleshed out by policy makers or the military. Just because you can’t pacify all the ungovernable Islamic spaces on the map doesn’t mean you can’t fix the one or two that are the most important, that have strategic weight over wide regions. For Afghanistan looms larger than it appears. Strategically, culturally and historically speaking, Afghanistan and Pakistan are inseparable. In the 16th and 17th centuries, both countries, along with northern India, were united under the Mughal Empire. Today Pakistan, with 165 million people, is a nuclearized Yugoslavia in the making, and threatens to be torn apart by the Taliban rebellion in its North-West Frontier Province (and, possibly, by the growing Baluchi and Sindhi separatist movements in its southern half). Since its birth 60 years ago, Pakistan has had darkly Shakespearean politics driven by passion and vendetta in which a small cast of individuals — Mohammad Zia ul-Haq; Zulfikar Ali Bhutto and his daughter, Benazir; Nawaz Sharif; Pervez Musharraf — have in turn executed, replaced and imprisoned one another. The only qualification of the new president, Asif Ali Zardari, is that he is Benazir Bhutto’s widower. The soap opera goes on, as Mr. Sharif, a two-time former prime minister, will undoubtedly seek to undermine him by leveraging his native Punjab against Mr. Zardari’s Sindhi base. Yet Pakistan is salvageable: it has an expanding urban middle class, and recent elections have by and large seen the defeat of religious extremists in favor of moderates. Pakistan’s future may hinge on the degree to which the United States can work with the Pakistani military to keep the Taliban rebellion from expanding not only throughout Afghanistan, but into Pakistan’s own cities as well. Paradoxically, that will mean making deals with some Taliban groups against others. 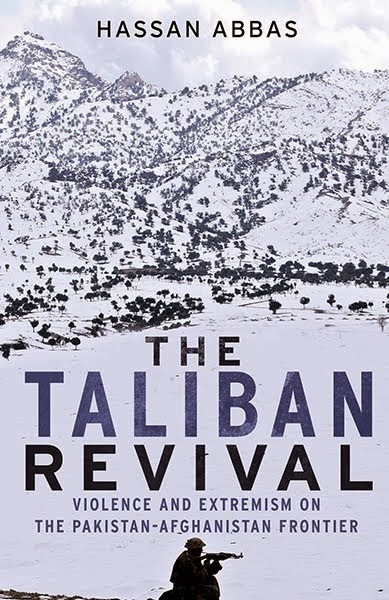 For the Taliban are not a monolithic organization, but bands of ornery Pashtun backwoodsmen who have been cut out of the power base in Afghanistan by an increasingly corrupt and ineffectual government in Kabul. They are not Al Qaeda: they lack a well-defined worldview and some are susceptible to political entreaties. But if our drone air strikes are not accompanied by nation-building steps like constructing roads and water wells, we will fail and Pakistan will be further destabilized. A failure in Afghanistan that destabilized Pakistan would do India no favors. Indeed, Pakistan would not go quietly into history. Sindhi and Baluchi separatists talk openly of an alliance with India if Pakistan unravels. But India, while its intelligence services now and then stoke Baluchi separatism, is terrified of such a development. India’s gravest problem — the one that has bedeviled its rise to great power status and with which its army is obsessed — is the fact that it shares long borders with dysfunctional states like Pakistan, Bangladesh and Nepal. The more responsible Indian nationalists see their country’s expansion not in terms of hard conquest, but in terms of soft economic envelopment of its neighbors. And an American failure in Afghanistan would set in motion a string of consequences that threaten such a benign vision. In the end, victory in Afghanistan can be defined by achieving the kind of security there that existed in the 1960s, when King Zahir Shah controlled the major cities and the roads connecting them, and a relative peace reigned. Even under a weak central government, Afghanistan could finally achieve economic salvation: the construction of a web of energy pipelines that have been envisioned for years connecting Central Asia with the Indian Ocean. These might run, for example, from the natural gas fields of Turkmenistan down through Afghanistan and into the dense population zones of Pakistan and India, with terminals at ports like Gwadar in Pakistani Baluchistan and Surat in the Indian state of Gujarat. In other words, in Afghanistan we are not simply trying to save a country, but to give a whole region a new kind of prosperity and stability, united rather than divided by energy needs, that would be implicitly pro-American. Indeed, a main reason the Pakistanis have been hesitant to work with us in the tribal areas is their fear that a manhunt is all we care about, rather than the region’s long-term prospects. The Pakistanis take note of our burgeoning strategic partnership with India, even as they believe that India’s recent opening of several consulates in Afghanistan is aimed at helping Baluchi separatists weaken Pakistan. Consequently, they feel squeezed, and on the brink of being deserted by us once we track down Al Qaeda’s leading figures. Afghanistan is a strategic rear base that India and Pakistan are now fighting over; both countries fear chaos there and desperately want us to calm it. What the Pentagon calls the “long war” is the defining geopolitical issue of our time, and Afghanistan is at its heart. The fate of Eurasia hangs in the balance. Robert D. Kaplan is a national correspondent for The Atlantic and a senior fellow at the Center for a New American Security in Washington.